One of the most common problems that we see at the Kegel Training Center involves an arm swing that goes behind the back during the approach. 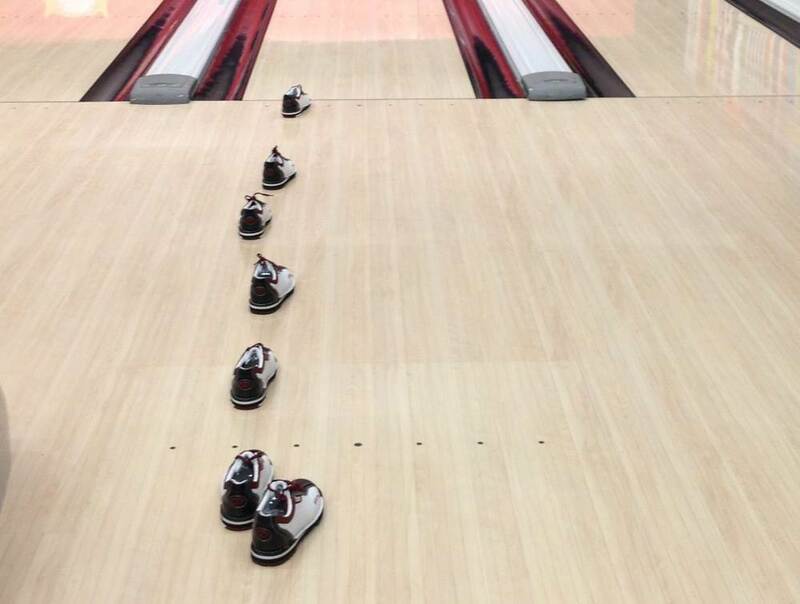 This particular issue is one of the most prevalent causes of inaccuracy and inconsistency in bowling. On one shot your ball may travel outside your target line and on the next it may go astray in the opposite direction. Has this ever happened to you? If so, you may wonder what demon has cursed you with such variation in shot making. The culprit resides within the swing. So first, let’s talk about what we mean by a “straight” swing. The two features that make up a “straight swing” are launch angle and alignment. Launch angle is a term that refers to the swing line or swing plane. The plane or space that the swing travels through during the approach creates the angle that the ball will travel on at the release point. In essence, launch angle determines where the ball will travel down the lane. Consistent launch angles mean that the ball will travel the same or very similar path down the lane. 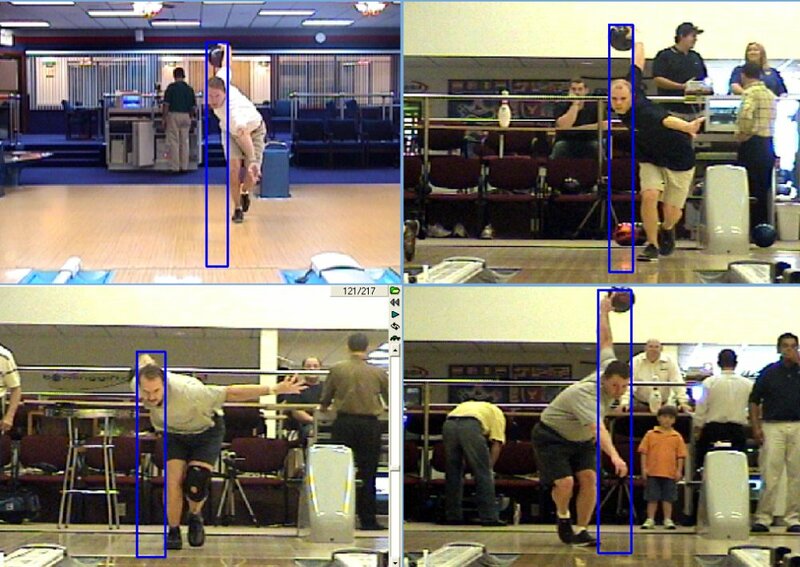 At the Kegel Training Center we use CATS (Computer Aided Tracking System) to measure almost everything a bowler does to a bowling ball, including how much a bowler’s launch angle varies from one shot to the next. Professional level bowlers have a launch angle variation of only 0.72 degrees. That’s less than 3/4ths of one degree! Alignment refers to the position of the bowling ball in relation to the head during the delivery. Using video analysis software at KTC, it is clear that the top players in the world have the bowling ball and the head in almost perfect alignment during the approach from setup through release. Thus, if you can maintain consistency in launch angles and you can keep the ball aligned with your head during your approach you will have solved the equation for a straight swing. Over the years, many bowling writers and coaches have referred to an area called the “swing slot” as the criteria for a straight swing. This slot has been defined as a 4 inch wide “groove” that the swing should remain within during the approach. I believe that this definition is helpful, but just like launch angle, it does not fully define a straight swing. For example, a bowler’s swing could remain in a 4 inch groove throughout the swing, but it could still travel away from the body or behind the back and lose alignment with the head. In my opinion, both components (launch angle and alignment) are necessary to define a straight swing. Check with your pro shop professional to insure that your grip is correct and that you can hold onto the ball with a gentle grip and minimal muscle involvement. In the setup, align your feet, hips and shoulders so that your swing plane will be in the direction of your intended ball path. Place the ball into the swing in the direction of your intended ball path. Maintain a stable hand position as the ball goes into the backswing. Tilt your bowling side shoulder in the setup to begin creating space for the ball to swing straight by your body. Cross over your footwork by placing one foot in front of the other to open up additional space for the ball to swing straight by your body (see photo below). 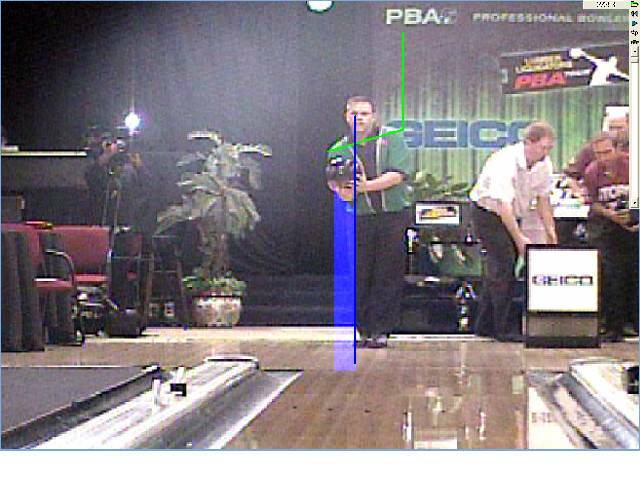 Check to see that you are sliding 6 boards from where you want to lay the ball down on the lane. Allow your follow-through to naturally extend out in the direction of your intended ball path. Keep in mind that the straight swing is the key to improved ball motion and increased accuracy and consistency. The ability to “repeat good shots” is the goal of all top players today. If you need further assistance with your swing consider scheduling a lesson at the Kegel Training Center. Posted on May 30, 2013 by Rick Wiltse.